Teams of up to 5 riders relay ride around a closed circuit as fast as they can to reach 200km within 5 hours and raise funds to help disadvantaged Australian children and families. In Sydney the event will be held on Friday 26 May 2017 at the Sydney International Regatta Centre, Penrith. Event day check in opens at 7am with the Race start at 9am. Teams will have 5 hours to ride 200kms and the Race will conclude at 2pm followed by a Celebration Ceremony and BBQ. The Sydney Regatta Centre is a 4.99km flat circuit with a couple of slight inclines. It is closed for our exclusive use and offers riders the chance to generate real speed in a safe, supported environment. Best of all the relay nature of the event means each rider can go out, push hard, hand over to a team mate, rest and then repeat. This fun, fully supported, action packed event has been held in Sydney since 2013. It is a proven concept with strong participation from cyclists who feel the need for speed and want to make a difference in their community. This is Australia’s fastest charity cycling event. Register a team today for a fantastic experience and help break the cycle of disadvantage. For more details please visit the FAQs. The Benevolent Society is proud to partner with Strava and MapMyRide for integration and display of your training rides into your participant page. For guides on how to connect please see here. Local fundraising supports local programs in your community. Fundraising by Race for Change participants is directed to local Sydney services. In Sydney funds raised support high impact, life changing programs like The Shack in Maroubra and Claymore Kids Action Network (CKAN Do) in Claymore. CKAN Do provides support where it's needed most. Through holiday activities, workshops and tutoring, CKAN Do is providing kids with the tools they need to create better lives. By working in consultation with local kids and their families, we know these programs address a real community-identified need. The Shack has been helping to nurture and change young lives since 1990. With a focus on fighting the outcomes of poverty, isolation and social exclusion, this crucial service equips young people with the physical and emotional support they need to make better life decisions. Their work is applauded by local police and educators, who both work closely with the programs helping to make this a truly community-orientated initiative. The Benevolent Society is Australia’s first charity and delivers services to help Australians in need live their best life. 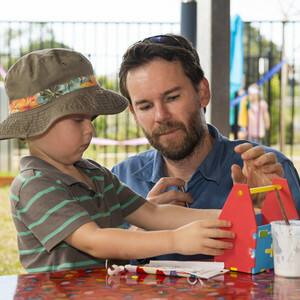 Combining national influence with local impact The Benevolent Society is at the forefront of supporting children, families, older Australians and people with disability to manage the problems of life.